David Ludden is Professor of Political Economy and Globalization and Chair (2016-2019) in the Department of History at New York University. He began his academic work in South Asia in 1968, as a public health intern, in a village near Chennai. He then studied Tamil literature and published translations of Tamil poetry, before shifting to graduate studies in economic and social history. He received his Ph.D. from the University of Pennsylvania in 1978, and served on the Penn faculty from 1981 until 2007. He chaired Penn’s Department of South Asian Studies and the South Asia programs at the Social Science Research Council and Fulbright Senior Scholars program. In 2001, he served as President of the Association for Asian Studies. His research concerns the very long-term history of agrarian economic development and its interaction with globalization in Asia. His publications include four edited volumes, three monographs, and dozens of academic articles and chapters. He current writing a book entitled Global Asia: Making Space for Modernity, which traces the interactive history of mobility and territoriality around the Silk Roads and Indian Ocean from ancient times through the mid-nineteenth century. 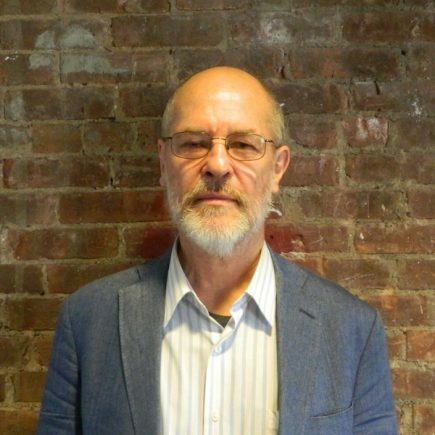 He is the founding director of the New York Center for Global Asia and very active in efforts to expand Asian Studies across disciplines and faculties around the NYU global network.